It is a fact that search engine optimization (SEO) can be a great way to generate leads for your business. However, for some marketers, SEO might be their only means of lead generation. This can be risky for your business!. You need to look for ways to diversify your lead generation process and not rely solely on search engine optimization. Otherwise, if there is a change in Google’s algorithm, it may fail and this can lead to the end of your business. In this post, we will be looking specifically at five strategies that you can use right now to start generating targeted leads to your business without using search engine optimization. 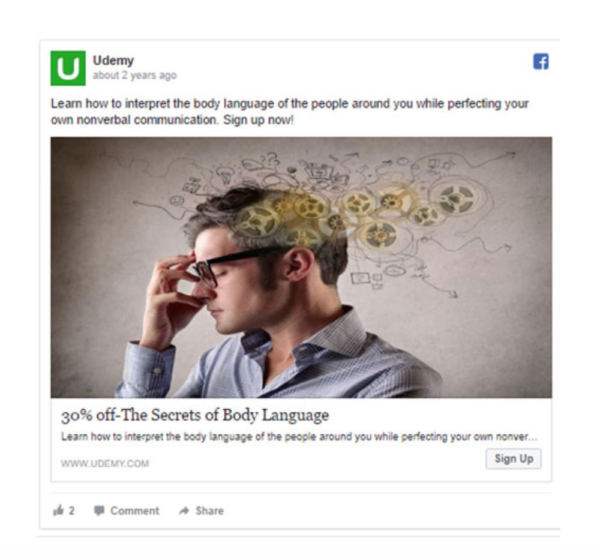 Facebook lead ads was introduced in 2015. It is a tool you can use to collect leads for your business through the most popular social media platform in the world i.e. Facebook. With Facebook’s 1.71 billion monthly active users, you have the opportunity to reach a vast pool of potential leads with targeted offers. When a user clicks on the action button (i.e. sign up, submit, download, etc), the Facebook lead ads form comes up. It is pre-filled with user’s data (Name, Email, Phone number etc) extracted from their profile on Facebook. It is easy to fill. In most cases, all the user needs to do is to confirm the information, and then click the action button without having to leave the Facebook page. 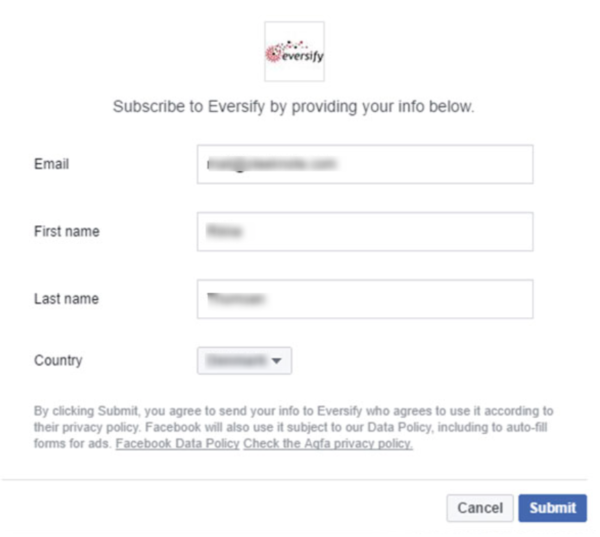 Below is a sample Facebook lead ads form of Eversify. With Facebook lead ads, you can target different types of audiences and also create personalized messages for them. The leads detail is stored in a CSV file and is available for download. Facebook does not provide an option to import your leads to your CRM or Autoresponder like Aweber or MailChimp. However, there is a way out. You can use one of the many different software presents on the web that it. It allows you to synchronize your entire leads library into your CRM/autoresponder. LinkedIn is a powerful tool for lead generation for your business. The platform has more than 400 million users all over the world that can be your potential leads. Lead generation is made easy on the platform by the use of LinkedIn Lead Generation forms. It is a free tool that works with sponsored content campaign to collect leads’ information. It is especially useful because of its mobile-friendly design. With LinkedIn, 80% of engagement with sponsored content takes place on mobile devices. Also, 57% of LinkedIn users visit using a mobile device. LinkedIn Lead Generation forms are easy to fill. It is auto-filled with details from user’s LinkedIn profile. 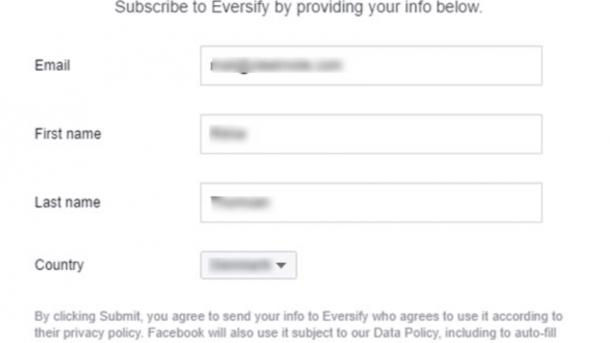 This help to reduce the extra effort that comes with filling opt-in forms manually. When someone clicks on the ad, it shows the in-app pre filled form with information from their profile. All the user needs to do is to confirm the information and submit. Below is a sample LinkedIn Lead Generation Ad with the form. Once the form is filled, you will have the contact of the user i.e. the name, email, company name, job title, location etc. You can also include a thank-you message after the form is submitted. You can manage the leads detail through your LinkedIn’s dashboard. You can also download and integrate them into your marketing automation software. Google Adwords is the most popular form of paid advertising platform online. Millions of businesses are using it to generate leads and sales for their businesses. It helps you to reach new customers and to grow your business based on building campaigns, bidding on targeted keywords and matching your ad to a landing page. However, Google is strict when it comes to landing page designs. With Facebook, you can get away with ‘thin’ landing pages, but not with Google Adwords. If you try it, you can get your ads disapproved or get outright ban on your account. This is why you need to pay attention to your Google Adwords landing page design. It is very important to the success of your campaign. In designing your landing page you need to take care of two issues i.e. landing page experience for users and Google’s site policies. The landing page experience involves making your landing page relevant and useful. It should contain original content that is transparent and trustworthy. The page must load fast and be easy to navigate. The landing page must deliver on its promise. You must provide accurate information to let the audience know what you are offering. 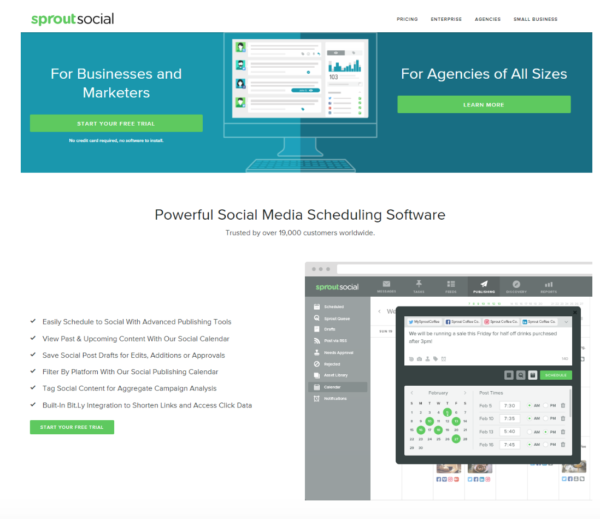 Below is a sample Google Adword ad of Sprout Social Scheduling tool. When you follow Google’s policies to design your landing page, it will be approved. The next thing you need to do after approval is to advertise it on YouTube, Google Display Network, and the Google Search network. These two networks will enable you to target your campaigns to your audience directly. This way you will get targeted leads for your business since 64% of people click on Google Ads when they are ready to make a purchase. The primary objectives of a guest post have been to get a backlink to a website. 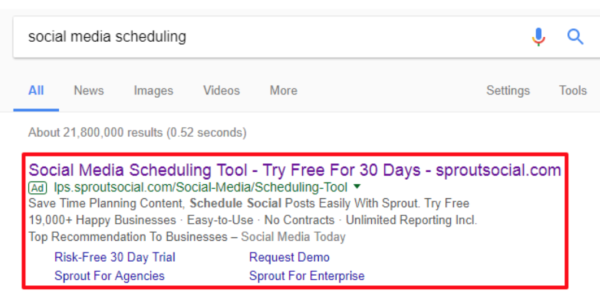 However, apart from link building, you can also use the guest post to generate quality and targeted leads for your business. The first step you need to take when thinking of generating leads from guest post is to search for websites that have similar audience to yours. For instance, if you are into marketing, you can search Google for top marketing blogs that accept guest posts. You will see a lot of websites or posts that list marketing website that accepts guest post. Check out a couple of the websites and gather them together. Check out their rank, website traffic, engagement rate, social media followings, comments per post etc. These metrics will enable you to focus on those websites that will generate result for your business and weed out those that are not relevant. A website with a lot of traffic, social media following, comments will give your post more views, shares, links and potentials for leads. When you are done with selecting the right website, you need to search for topics that will benefit the audience. You can use the Buzzsumo tool to search for popular blog post that has generated great result for the website in time past and then create something similar to that. Make sure you create exceptionally useful content that will enable the audience to engage with your content. Don’t forget to link to appropriate content on your website in your guest post. In your author bio, make sure you include your website URL and your social media networks. This way readers can follow you back to your website. Now, you can set up retargeting campaign on your website using Facebook pixel. By doing so, you’ll be able to quickly retarget your audience as soon as they get to Facebook from your website. It will show them relevant ads when they are still hot, thus, helping you to increase your leads and sales. Quora is a large question and answer website with a reach of about 100 million monthly users. The platform users are professionals from different industries, who are available to help users answer their questions. Quora is solely built for knowledge sharing, it is not really a lead generation platform. However, brands are allowed to engage with users with the intention to help them answer their questions. This way, several businesses have invested in building their authority on Quora, thereby generating leads to their businesses in return. There are opportunities for businesses to create a niche for their brand and use it to build awareness for their products and services on the platform. There are two ways to generate leads on Quora. You can answer questions and promote your product or service in the content or use Quora ads. To generate leads by answering questions on Quora, you need to create a good looking profile. Your profile should show who you are, the company you work with and your social media network links. Once you have sorted out your profile, you need to start searching for questions which are relevant to your industry. Answer questions that have a sizeable number of followers (at least 5-10 followers) and those that lack quality answers. When you answer questions on Quora, make sure that they are detailed, structured and packed with links to various content and resources on your websites. When users read it and it meets their needs, they will click on the links to read more on your website or to purchase your products or services. 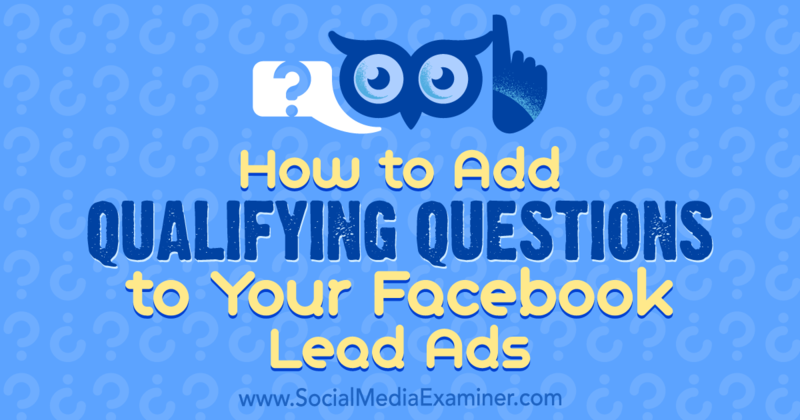 Secondly, you can use Quora ads to generate leads and sales for your business. It has low CPC, high conversion rate and it is easy to set up. You can use the ad to promote your product and services. At the moment, they offer text ads with a 65 character headline and 105 character body copy. In Leadsbridge, we use Quora to drive people to our blog. Check our channel here. It is risky to rely on Search engine optimization only to generate leads for your business. After reading this post, you should be familiar with the different strategies you can use to get leads for your business. The strategies include Facebook lead ads, LinkedIn Lead Generation form, Google Adwords Landing pages, Guest post and retargeting and Quora and its ad platform. Whether you use one of these strategies or you use all of them together, your business will get more leads than you have ever experienced before. What is your experience when it comes to lead generation without using search engine optimization (SEO)?.